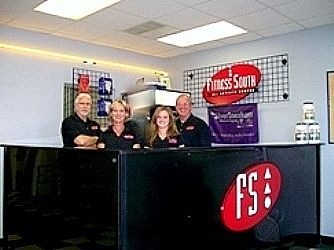 Fitness South has been family owned and operated since March 1999 as "The Area's Most Complete Health Club." It's safe to say that most of our members are concerned with weight loss, strength and toning, cardio vascular health and nutrition. If these are some of your concerns, we can help. Please accept our invitation to give us a call or come by and check us out. Our goals are to offer a clean, professional & family friendly atmosphere for you to achieve a healthier life style. YOUR EXCUSES ARE YOUR WEAKNESS!!! "Remember, you are the key ingredient, so if you want to be different, we look forward to helping you achieve your health and fitness goals. Please accept our invitation to give us a call or come in and check us out. You'll be glad you did!" 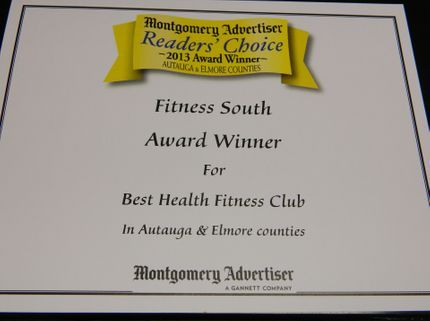 Thanks to all of our members and friends that make FITNESS SOUTH the BEST HEALTH & FITNESS CENTER in Autauga & Elmore counties. IF YOU CONTINUE TO DO WHAT YOU'VE ALWAYS DONE; THEN YOU WILL CONTINUE TO GET WHAT YOU'VE ALWAYS GOTTEN! TODAY IS THE DAY!! THE TIME IS NOW!! !